The F-5 was designed as an economical lightweight supersonic fighter that the US could sell to friendly nations. Its performance was very good and it continues to serve with some countries to this day, notably Switzerland. 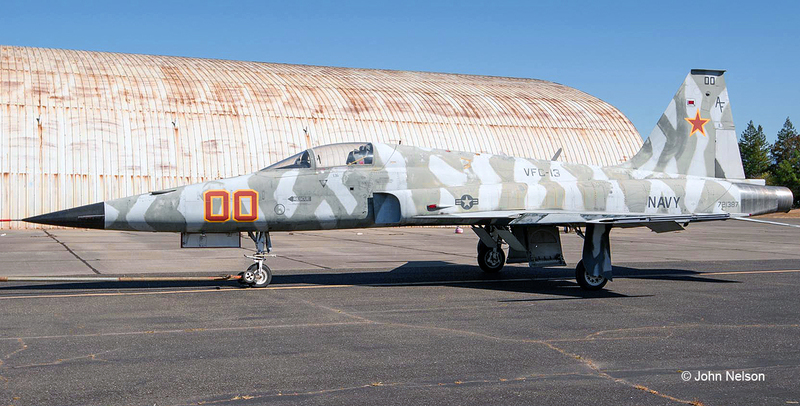 Our F-5E Tiger II is painted as an "aggressor". 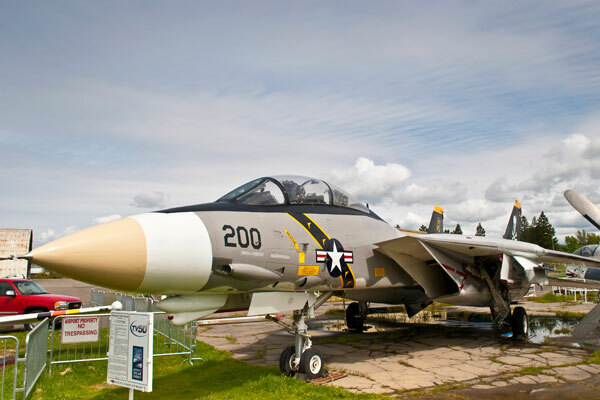 This aircraft was used by the Naval Fighter Weapons School or “Topgun”, later the Naval Strike Air Warfare Center or NSAWC. It was part of Fighter Squadron Composite VFC-13, the “Saints", which is the “aggressor” squadron. 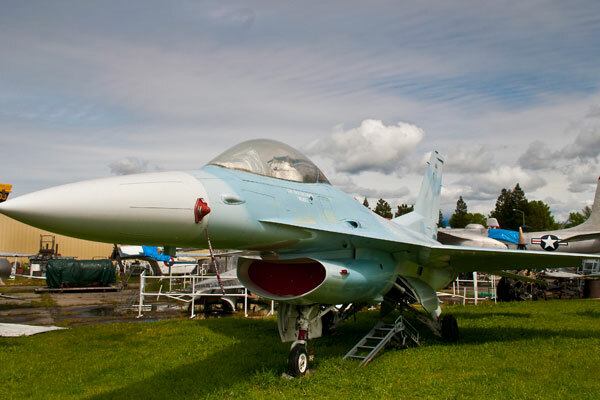 Rumor has it that our F-5 starred in the 1986 blockbuster movie "Top Gun" but this is incorrect. She was still with the U.S. Air Force when that movie was made. The F-5 was armed with two simple but effective 20mm cannon, not a large and heavy revolving cannon as found on other US aircraft. Our F-5 served as an aggressor at the Navy's "Top Gun" school, helping our fighter pilots learn to combat the enemy aircraft they were likely to encounter. F-5 performance closely matched the Soviet-built MiG-21, which was widely used by unfriendly nations. Our F-5 Tiger II during her active military career in approximately November 1990, serving as an aggressor with VF-45. This photo was apparently taken at an air show, as evidenced by the red and white Fokker Triplane in "Red Baron" colors behind the F-5's nose. The development of the Northrop F-5 began in 1954 when a Northrop team toured Europe and Asia to examine the defense needs of NATO and SEATO countries. A 1955 company design study for a lightweight supersonic fighter that would be relatively inexpensive, easy to maintain, and capable of operating out of short runways. 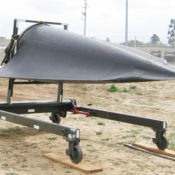 The Air force did not initially look favorably upon the proposal since it did not have a need for a lightweight fighter. 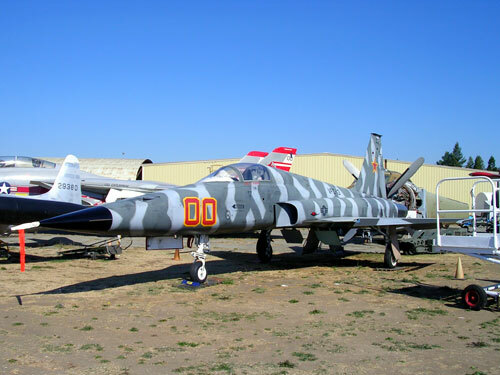 However, it did need a new trainer to replace the Lockheed T-33, and in June of 1956 the Air Force announced that it was going to acquire the trainer version, the T-38 Talon. On April 25, 1962, the Department of Defense announced that it had chosen the aircraft for its Military Assistance Program (MAP). America's NATO and SEATO allies would now be able to acquire a supersonic warplane of world-class quality at a reasonable cost. On August 9, 1962, the aircraft was given the official designation of F-5A Freedom Fighter. Optimized for the air-to-ground role, the F-5A had only a very limited air-to-air capability, and was not equipped with a fire-control radar. 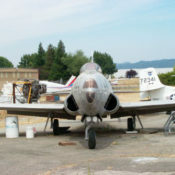 The F-5B was the two-seat version of the F-5A. It was generally similar to the single-seat F-5A but had two seats in tandem for dual fighter/trainer duties. Although all F-5A production was intended for MAP, in October 1965, the USAF “borrowed” 12 combat-ready F-5As from MAP supplies and sent them to Vietnam with the 4503rd Tactical Fighter Wing for operational service trials. This program was given the code name of "Skoshi Tiger" (Little Tiger), and it was during this tour of duty that the F-5 picked up its Tiger nickname. On November 20, 1970, the Northrop entry was declared the winner of the IFA (International Fighter Aircraft) to be the F-5A/Bs successor. The emphasis was on the air-superiority role for nations faced with threats from opponents operating the late-generation MiG-21s. 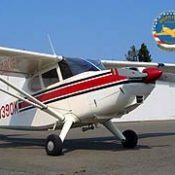 An order was placed for five development and 325 production aircraft. In January of 1971 it was reclassified as F-5Ej The aircraft came to be known as “Tiger II”. The US Navy Fighter Weapons School (the so-called “Top Gun” school) at NAS Miramar acquired a total of ten F-5Es and three F-5Fs for dissimilar air combat training. 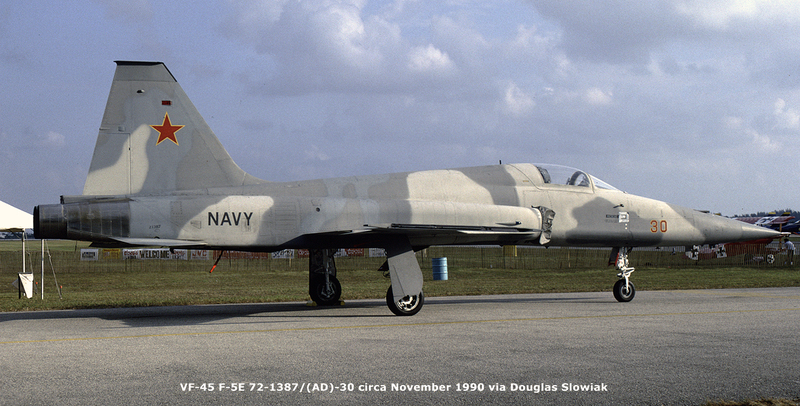 Because of F-5s characteristics, which were similar to the MiG-21, was used as “aggressor” aircraft, equipped the FWS and VF-126 at NAS Miramar, plus VF-43 at NAS Oceana. All three units later disposed of their Tiger IIs in favor of the General Dynamics F-16N. These tiger IIs were passed on to VF-95 at NAS Key West and VFA-127 at NAS Fallon. During FY 1996, VFC-13 moved from NAS Miramar, CA, to NAS Fallon, NV, and transitioned from 12 F/A-18 to 25 F-5 aircraft. VFC-13s flight hour program will increase to offset the scheduled decommissioning of the two remaining Active Component adversary squadrons, VF-45 and VFA-127. This transition to the F-5 adversary aircraft will provide Active and Reserve Navy pilots with air-to-air combat training at significant savings to the taxpayer. Recent estimates show that the F-5 can be operated at one third of what it costs to operate an F/A-18. If you were associated with the F-5 either as a designer, builder, pilot or maintainer, then you may be interested in joining the F-5 Tiger Pilots Association. 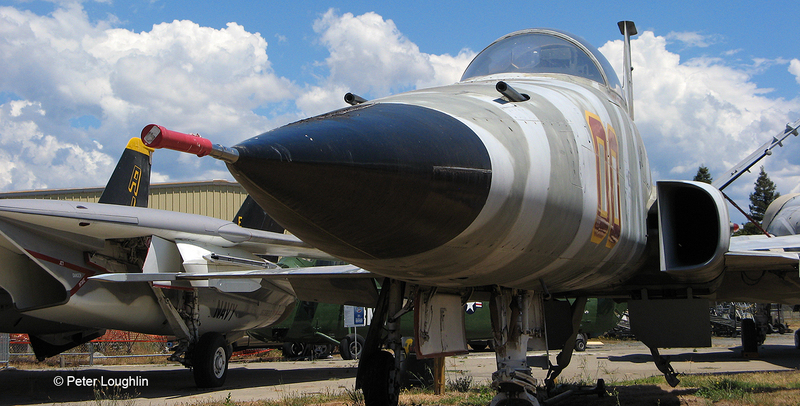 This association publishes e-newsletters devoted to the history and future of the Northrop F-5. Their primary publication is TIGER DRIVER, which is published twice each week and contains first-person narratives of building and flying the F-5. They also publish TIGER INTERVIEWS with certain individuals in the Association, TIGER RECONS, which are F-5 related pictures from the members' private collections, many of which have never been published before, TIGER BLASTS, which are news bulletins and updates, and TIGER TRIBUTES, which are commemorative essays. Typically each week, every member receives two to five e-publications. There are no dues to join, but the Association does require one "My Favorite F-5" story from each member annually. If you were associated with the F-5 in a significant manner, then you are encouraged to email Rick Mitchell, the Editor and Founder, at remitchell22@aol.com for more information. 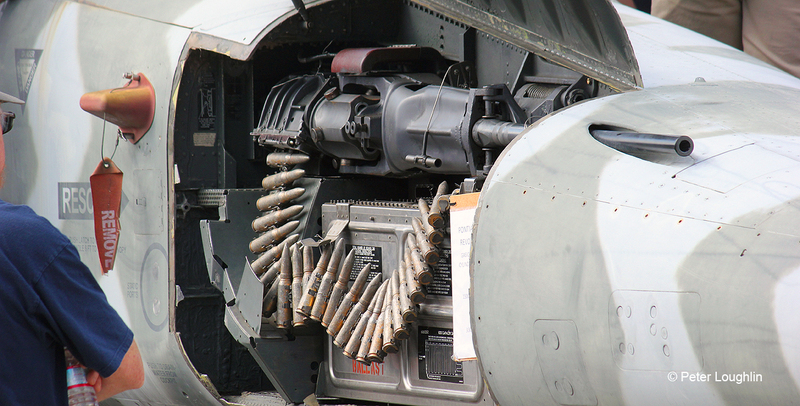 Two 20mm M39A2 cannon in fuselage nose and two AIM-9 Sidewinder missiles on wingtip launchers, plus up to 3175 kg (7,000 lbs) of mixed stores.